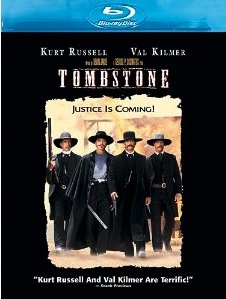 “Tombstone” has got to be one of the finest modern Westerns ever made. The story of legendary Wyatt Earp and the affable but deadly Doc Holliday are skillfully played by Kurt Russell and Val Kilmer. The supporting cast of Sam Elliot, Bill Paxton, Powers Boothe, Michael Biehn, Charleton Heston (in one of his final film roles) and Dana Delaney among others, make this the definitive film about Earp in Arizona before and after the famous shootout at the OK Corral.It is a memorable experience to enjoy through many viewings. 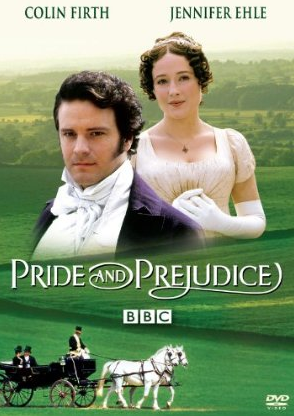 The film is historically accurate and was researched thoroughly before scenes were added to the two plus hour film. While some might say the film was a Hollywood recreation of history, eyewitness accounts of events were used in the writing of the final script for authenticity. Val Kilmer makes this film much more with his portrayal of Holliday. His witty lines, southern drawl, and remarkable characterization are dead on from start to finish. He is the ultimate “Huckleberry” of this film, showing up even the talented Russell. This blu-ray disc is a welcome addition to any western fan’s library. The picture is outstanding; you can count the hairs on Sam Elliot’s mustache in some scenes, it’s that sharp. Colors are rich and well balanced. The sound is also excellent throughout, from bullets flying past your ear to the thunder of horses riding into town. Extras include most of what was on the Vista series dvd set but not the commentary from director George P. Cosmatos, or the extra four minutes from the director’s cut of the film. There was certainly enough space on the disc for these but were left out. However, that’s my only peeve about the disc on this blu-ray. It’s a film that deserves blu-ray and I’m glad Disney has finally given it to us in high definition. 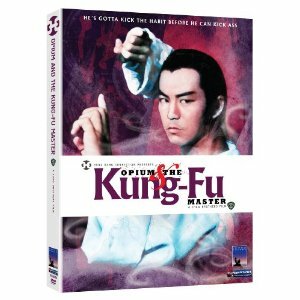 Normally we don’t plug books here at DVDCorner but we have to share this with you. One of our all time favorite writers and reviewers (from the old site) was Dave Anderson, who not only wrote for the Corner for years but is also a good friend and colleague of mine from our “other jobs”. He’s written a great book, aimed at young adults and it is available now in pdf format from Eschelon Press Publishing. 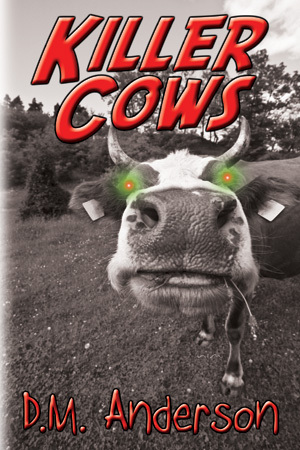 For just $2.99 you are guaranteed a lot of humor and fun from this witty and talented writer. Click on the Eschelon Press link to order and download the book now. It will available in paperback in August. Buy it NOW! Hey, Cage and Herzog fans-We’ve got three copies of this dvd to giveaway. Leave a comment and let us know why you’d like to get the latest from Cage and director Werner Herzog. We’ll pick three winners from all the comments we receive. Thanks for coming to DVD Corner. 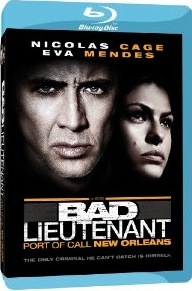 “Bad Lieutenant:Port Of Call New Orleans” is a Werner Herzog film starring Nicholas Cage in the title role. The film centers on this decorated police officer, who also is addicted to drugs and fits the title of the film perfectly. Cage fans will see him at his maniacal best in this modern noir portrait by Herzog. Of course, Herzog has to throw in a few bizarre statements of his own, such as the “Iguana cam” and the “alligator cam”, just to keep you wondering what the hell is going on. Costars in this black comedy-police drama include Eva Mendez as the bad girl Cage loves, Val Kilmer as his co-worker/partner (one of the best roles in a while for him), Jennifer Coolidge, Fairuza Balk and Brad Dourif. 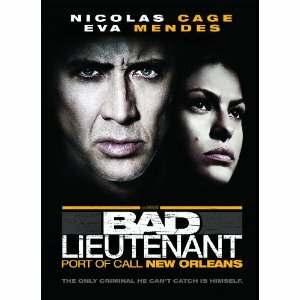 Together they show the sleezy side of post Katrina New Orleans in a atmospheric tale of crooked cops, drugs and murder. The blu-ray presentation is first rate and really shows off the atmospheric lighting in the film, which has a major impact in scenes. Extras consist of a lengthy, multi-segmented “making of ” featurette with Herzog and cast. While it is interesting to watch once, that would probably be the only time. “Bad Lieutenant: Port of Call New Orleans” is an entertaining but slightly bizarre film that shows off the acting talents of Cage to the max. Fans of his will definitely want to pick this up to add to their collection of his great performances. Howard Hall does the principal work in this IMAX presentation on Blu-Ray, directing, filming, and writing most of the narration. 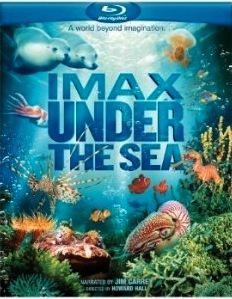 He previously has done other IMAX sea documentaries with great success. Narrated by Jim Carrey, the film covers species around the coral reefs of the world and their unique ways of protecting themselves, their mating habits and rituals and the symbiotic relationships some have formed. Highlights include the cuttlefish, the great white shark (filmed outside of a cage), Australian sea lions, beautiful jellyfish, sea dragons, and sea snakes.Without getting too heavy handed, the narration also sends the message that the changing climate caused by global warming is killing off some of these areas and animals. The blu-ray picture is what you’d expect; the colors and detail are stunning and the additional sounds and enhancements in surround sound make this a quite entertaining film, even though it is way too short (40 minutes). The film was originally made for a 3D IMAX presentation but this disc is 2D. Extras on the disc include a ten minute advertisement about the film (making of feature) and some extra footage in each area they filmed in. This is worth watching just to see the incredible amount of equipment needed to film an IMAX film; the camera alone weighs in at about 1300 pounds and can only take 3 minutes of film at a time before it has to be reloaded. It takes an enormous amount of crew and transportation to get the filmmakers where they need to go. I can highly recommend this short film that studies sea life and captures some rare moments. The narration is family friendly and the film can be enjoyed by all members of the family. Rated G.